SPGPrints’ digital printing solutions using Archer technology and advanced rotary screens for apparel applications will be presented on its stand (Hall 6, Stand 606B) at ITM 2018 in Istanbul, Turkey from April 14th to 17th. 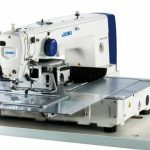 Highlights of the digital offering at the stand will be the 1,850-mm-wide version of the Javelin printer, a program of inks for a wide range of fabrics and information on other digital printers using Archer technology. 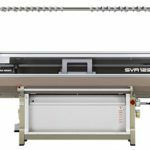 “Since its debut at ITM 2016, the Javelin printer has been installed at textile printing operations around the world, complementing existing digital machines and screen production,” said Hakan Uzman, Managing Director SPGPrints Turkey. The six-color Javelin production scanning printer uses SPGPrints’ unique Archer technology and Fujifilm Dimatix Samba print heads to fire variable drops of ink (2-10 pL) up to 4 mm to the substrate. With an output of up to 367 linear meters per hour, Javelin is suited for medium output levels, and situations where more frequent changes between different fabrics and ink chemistries are required. 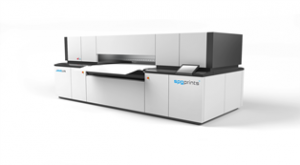 For higher volumes, information will be available on the stand about the SPGPrints Pike printer that offers high-speed, single-pass production using the same proven Archer technology. 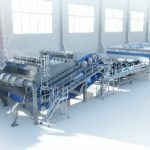 Capable of speeds up to 40 linear meter/hour, Pike enables users to offer lead times of less than one week to global fast-fashion brands, for orders exceeding 100,000 linear meters. With both printers, SPGPrints’ “Archer Print Head Program” is available that provides a 2.5 year guarantee on print heads in combination with the use of accredited inks. In addition to production flexibility, the Javelin and Pike printers deliver high-quality print with fine lines, solid blotches, precise geometrics, and micro patterns, making them ideal for today’s design trends and demands for fast fashion. SPGPrints manufactures its own inks for use with Javelin and Pike printers at its recently expanded ink plant, at its headquarters in Boxmeer, Netherlands. SPGPrints’ Nebula range of digital inks is designed for use with printers using Kyocera print heads. Acid, reactive, disperse and sublimation inks are available, and assure smooth running, wide color gamuts, and outstanding quality with low maintenance.